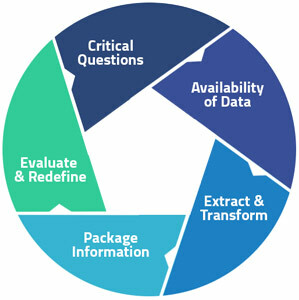 xFact has developed a comprehensive data analytics offering called ADAPT . 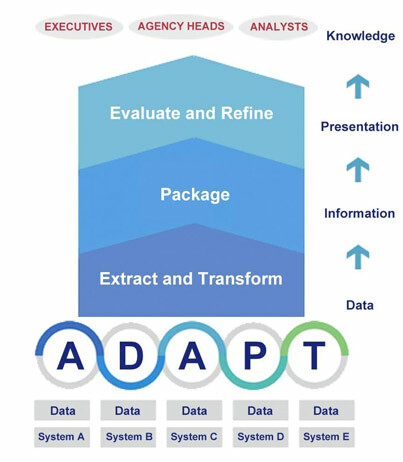 ADAPT is a complete data delivery model for problem definition, data design, extraction, transformation, and presentation. 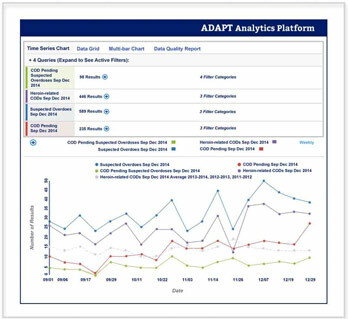 ADAPT includes an analysis tool to evaluate and refine information and view in an easy-to-use dashboard. Government executives, agency heads, and analysts all need knowledge to support planning, policy initiatives, spending and legislative requests. Organizations have data in many forms across multiple systems. The challenge is to turn this data into knowledge! The ADAPT Analytics Platform includes an analysis tool that has been built using a responsive design, is mobile enabled, and creates a rich user experience. The analysis tool supports efforts in understanding historic results, current trends, and future or predictive analytics for its users.